The French poet St phane Mallarm (1842-98) was modernism's great champion of the book as both a conceptual and material entity: perhaps his most famous pronouncement is "everything in the world exists in order to end up as a book." A colossal influence on literature from Huysmans to Ashbery, art from Manet to Broodthaers, music from Debussy to Boulez and philosophy from Blanchot to Ranci re, Mallarm spent more than 30 years on a project he called Le Livre. This legendary, unfinished project is now translated into English for the first time. 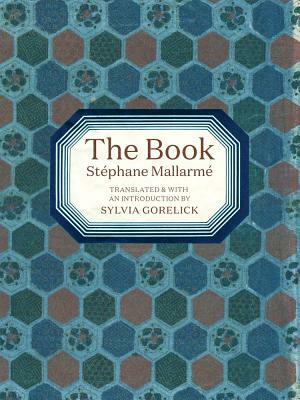 The Book was Mallarm 's total artwork, a book to encompass all books. His collected drafts and notes toward it, published only posthumously in French in 1957, are alternately mystical, lyrical and gloriously banal; for example, many concern the dimensions, page count and cost of printing this ideal book. Resembling sheet music, the lines are laid out like a musical score, with abundant expanses of blank space between them. Frequently quoted, sometimes excerpted, but never before translated in its entirety, The Book is a visual poem about its own construction, the scaffolding of a cosmic architecture intended to reveal "all existing relations between everything."